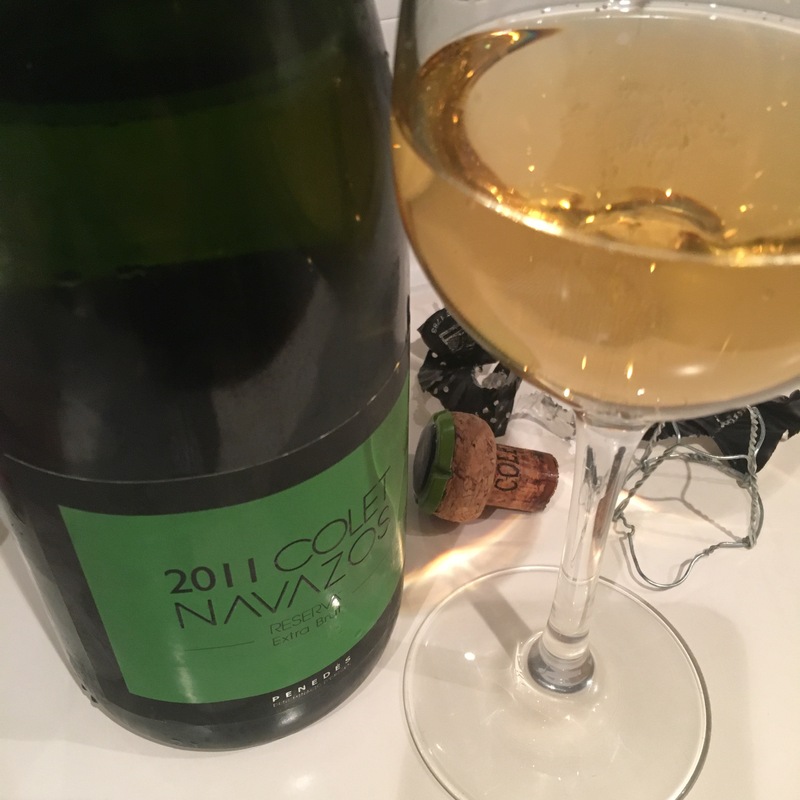 Really top class Spanish bubbles these: 100% chardonnay from Penedés as the base wine with 41 months of secondary fermentation and rack and licor de expedición made up of manzanilla and manzanilla pasada. A nice deep, gold color as you can see and tight, well integrated bubbles. Although it is dry it is big and rich in body, and elegantly shaped – not too much of the “diesel” I sometimes find in cavas with a lot of rack time. Maybe a hint of nutty and roasted flavours like an oxidated blanc de blancs, and mouthwatering mineral freshness at the end to make the finish extra clean and fresh. In fact a great combination of a big tasty wine but with a sharp acidity up front and a fresh salinity behind. Really excellent.